In August, my family and I traveled to Asheville, North Carolina with a stopover in Abingdon, Virginia. We took advantage of our night in Abingdon by seeing a performance of The Lemonade Stand at the Barter Theatre (a charming place, by the way). In the show, a 50-something named Garret gets fired from his job. So he decides to start a lemonade stand in front of his house in an upscale, suburban neighborhood. Along the way, he meets Rachel, the college girl next door who wants to be his lemonade-stand intern and handle his social media. 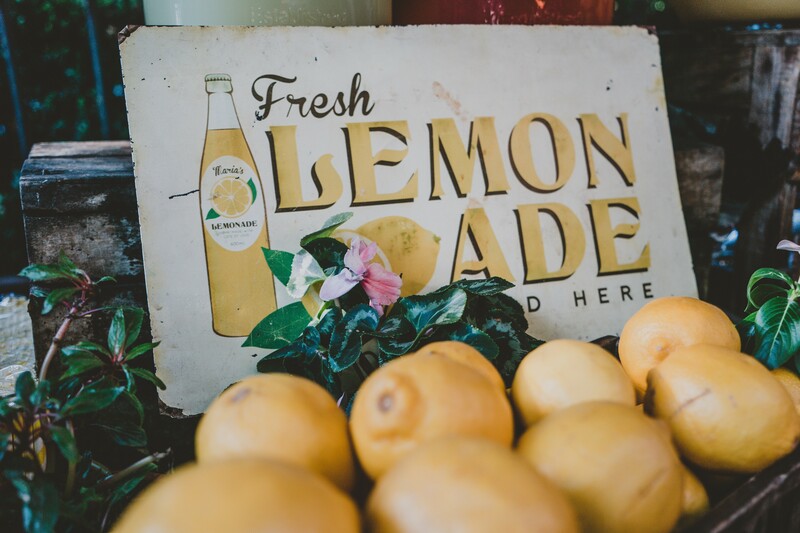 The real world has people who, at a later age, built their own lemonade-stand type of a business – one based upon a passion or interest from their youth. Take Annie Margulis, who dreamed of becoming a fashion designer at a young age. Eventually, she founded Girls Golf – a clothing line for women golfers — after a long career in nursing. Rory Kelly wanted to drive a limousine at age five. In his 40s, he left the steel industry – where had worked for more than 25 years – to found Prestige Limousine. Then there’s Cherry Harker, who wanted to design bikinis when she was a teenager. Almost 60 years later, her vision became a reality when launched ZwimZuit at age 76. Not every childhood dream can be turned into a business, of course. In some cases, the idea lacks a market – or is just too weird to be viable. In others, procrastination gives someone else the opportunity to swoop in on the idea. Still, if you’re an aspiring entrepreneur seeking sources of inspiration, don’t overlook the early years of your life. They can be a great place to mine ideas for a product or service that lets you fill a need and have fun at the same time. Successful business ownership depends upon a combination of factors but a passion for what you do is what enables you to persevere. And that most certainly will determine whether you make it as an entrepreneur. This entry was posted in Business, Career Changes, Careers, entrepreneurs, Entrepreneurship, Leadership, Retirement, Success and tagged Entertainment, fashion, Work. Bookmark the permalink. 4 Responses to Can a Childhood Dream Become a Business? I find those working in their own business are less interested in retiring than those working for a company. The difference is often quite extreme. Hi Gary – There are all kinds of situations, of course. But in general, I agree with you. An older entrepreneur once told me he started his business because he “wasn’t good at retirement.” Many late-blooming entrepreneurs share that sentiment, I think. Thanks for commenting.